My name is Alexis Topham, I am a midwife ane doula between Boston and Worcester MA. I have three sons, Frankie (1998), Trevor (2000) and Victor (2010). My oldest child Frankie has a rarely discussed liver disease called Wilson's Disease and is on the Autism Spectrum. I have much empathy and love for all the families that are out there struggling/juggling with the demands of caring for a child or close family member with a disability and/or chronic disease. I have been attending births in multiple capacities in every setting since 1999. I am a Certified Practicing Midwife through North American Registry of Midwives. I have been lucky to attended hundreds of births, each one special and unique, with fabulous families. I am so honored to be invited to take part in such a wonderful and transformative part of their lives. I work with several non-profit organizations such as the Boston Association of Childbirth Education, Nursing Mothers Council, Massachusetts Midwives Alliance, MANA, Autism Alliance of Metrowest, and the Wilson's Disease Association International. These organizations all do great and important work for families..
You can contact me directly at 508-889-9165, by email at or by sending us a message through this site. My name is Joyce Kimball. I am a Certified Professional Midwife and a Certified Birth Doula. I have been supporting families in giving birth since 1998. I have two beautiful children; David, born in a hospital with a CNM (certified nurse midwife) in 1995 and Julia, born at home with a CPM (certified professional midwife) in 1999, and a wonderful husband, Mike. I was once a Human Resources Director and have a Bachelor's and Master's degree in Business but my life was changed in 1995 when I gave birth to my son. I gave birth to David in the hospital, quickly and easily, though separated from him for a while after birth as per hospital protocols and with a 3rd degree episiotomy, as per protocol. I knew birth could be different; better. 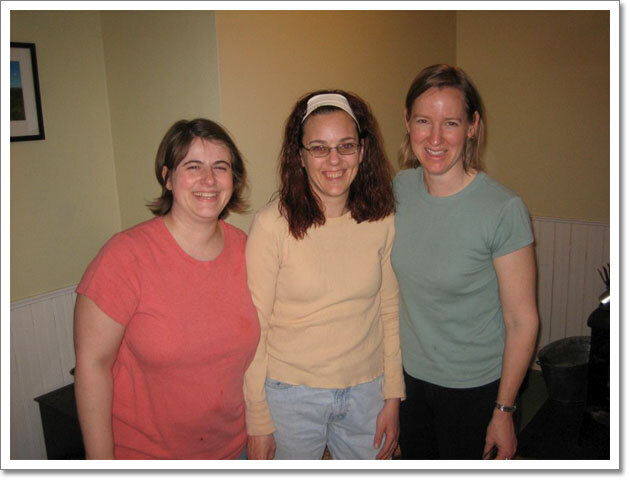 Three months later I met a woman who had a homebirth and met a homebirth midwife in 1998. From the moment I met these women I knew that I wanted to attend women at birth. When a homebirth midwife rented space below my husband's computer store and was looking for an apprentice, I raised my hand. I thought I would just “put my toe in” but instead jumped in with both feet, going to DONA doula training, attending home births as an apprentice, attending hospital births as a birth doula and starting a Midwifery Studies Program. I have been a certified DONA birth doula since 2001. I am First Aid, CPR and Neonatal Resuscitation Certified. I am a long-time La Leche League member. In February 2002, I completed my apprenticeship and Midwifery Studies Program and opened my own supervised home birth midwifery practice. In 2004 I continued my path of servicing women to include birth counseling and by becoming certified in Reiki Level II and Chakra Balancing. In February 2008, I completed my 10 year long process and got my license as a Certified Professional Midwife. You can contact me at or 508-757-4964.